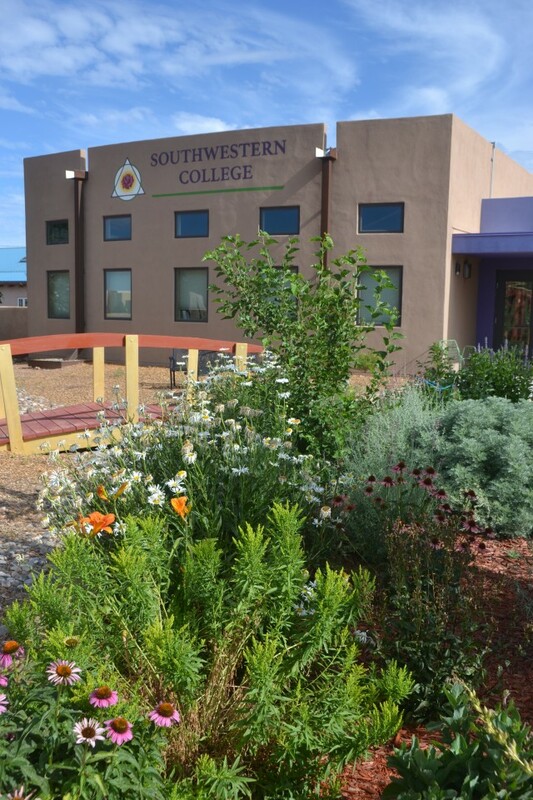 Southwestern College/New Earth Institute is a premier graduate school for masters degrees in Counseling and Art Therapy/Counseling. Located in the international art / travel Mecca of Santa Fe, New Mexico, we have been training consciousness-centered therapists and leaders in the mental health field since 1979. Our holistic approach to personal and planetary wellness emphasizes developing our students’ own inner strengths as a necessary precursor to helping others. Aligned with their own truth, our students can explore any material with their clients, maintaining a curiosity rather than fear or against-ness in the face of others’ differences. If you have read about other programs, you can probably sense already that our approach includes a unique blend of compassion, collaboration, and exploration of strengths along with the clinical awareness necessary for true healing work. We are fully accredited by the Higher Learning Commission and the American Art Therapy Association. According to our most recent alumni survey, ninety two percent of our graduates found work in the mental health professions, and ninety-nine percent passed the licensing exam the first time. Our graduates are in therapist and leadership positions all over New Mexico and the United States (forty-seven states.) Our instructors are reflective practitioners representing many different schools of thought, and sharing the consciousness-centered, experiential approach to transformational learning. Located at the foot of the Sangre de Cristo Mountains, Santa Fe enjoys over 300 days of sunshine a year, gorgeous mountain vistas, sunrises and sunsets like no place in the world, and a diverse and colorful cultural mix of Native American, Hispanic, and European influences. It is considered by many to be a spiritual center of the United States, and artists from all over the world come here to work with the breathtaking landscapes in the pristine and magical light of the high desert. For more images of this glorious setting, visit our Pinterest page here.